(NaturalNews) Another skeleton is coming out of Monsanto's closet, and its implication will forever change how we view the relationship between corporations, scientific literature and government regulators. The infamous corporation is now being exposed for hijacking a science journal to suppress the facts that their popular glyphosate herbicide causes horrific cancer tumors in rats. 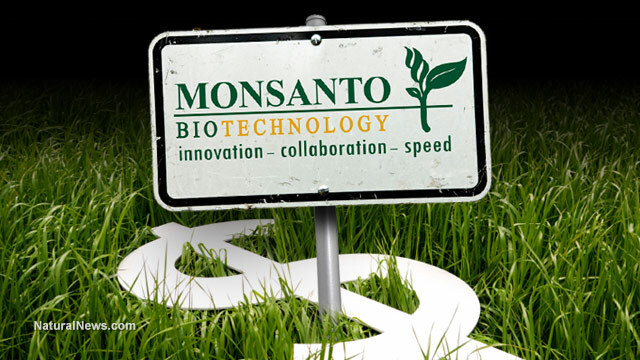 The public relations and advertising monsters for Monsanto know full well that if they can convince the scientific community that their genetically modified organisms and agrochemicals are safe, then they can con the rest of the world to follow along, including environmental regulators, farmers and consumers. But spraying the food of people around the world with cancer-causing chemicals is no advertising game, and it's not a profit to be proud of. That's why Monsanto engineered an all-out takeover of a prominent science journal in an attempt to suppress independent research that would forever destroy public opinion of GMOs and glyphosate. Public opinion on GMOs drastically shifted when people started finding out about professor Seralini's independent studies showing how GMOs cause large cancer tumors in rats. People everywhere began to wonder what these genetic alterations of food would do to their bodies over time. Was the human race equipped to handle such wide scale applications of a herbicide that can destroy the microbiology of the human gut? Why weren't these genetic manipulations of nature being labeled as such on food packaging? Are growing human cancer rates connected to daily consumption of these mystery GMOs? The most appalling fact about Seralini's research is that he used the same methods and procedures Monsanto scientists used when they proved to the world that their GMO maize was safe for consumption. Seralini's re-testing and re-evaluation of Monsanto "science" elicited completely different results than what the corporation had initially reported. Using the same rat feeding protocol, the independent researchers found signs of toxicity in raw data for Monsanto's GM maize. When Seralini's research was published in the journal Food and Chemical Toxicology, Monsanto fired back with unrelenting force. Under pressure from the biotech industry, the eye-opening Seralini studies were retracted. The French magazine Marianne called the study a "scientific fraud," and an all-out public relations war was waged against the independent scientists who exposed Monsanto's products for what they really are: poison. The journal that published and then retracted the Seralini study quickly created a new position in their company – the Associate Editor for Biotechnology. The position was immediately filled by a former Monsanto employee. After two years of suppression, the Seralini study re-emerged in the peer-reviewed journal, Environmental Sciences Europe. In a major victory for food transparency and food freedom, Seralini won two lawsuits, validating his work, and shedding light on the poisonous nature of Monsanto's products, as well as the bully tactics they use to "prove" the scientific safety of their products. The former chairman of France's Biomolecular Engineering Commission, Marc Fellous, has been indicted for forgery and libel against Seralini. The biotechnology operative is being charged with "the use of forgery" to authorize several questionable GM crops for consumption. Marc Fellous copied the signature of a scientist to validate GMOs and to discredit Seralini's studies. Fellous lost an important libel trial to Seralini in November of 2015. On top of that, the Marianne magazine also lost a defamation lawsuit to Seralini. In turns out that Seralini's studies weren't "scientific fraud" as the magazine asserted. In fact, Seralini's independent research serves an important, eye-opening and moral purpose for countries and regulators that have to deal with Monsanto's lies, bribery and hijacking of scientific journals.